KEEPING SOUTH FLORIDA SAFE SINCE 1987. Need a fire pump urgently? We have a diesel fire pump trailer available for immediate assistance. Whether you're looking for fire sprinkler or fire alarm systems, design build, tenant improvements, or BIM services, you've come to the right place. We not only design and install fire protection systems and equipment, we also inspect everything. Check out our wide range of fire protection inspection services. Sprinklermatic offers a variety of live-learning opportunities for fire protection professionals. Whether you're interested in learning how a fire pump works, or how we calculate the most demanding area of a fire sprinkler system, you've come to the right place. 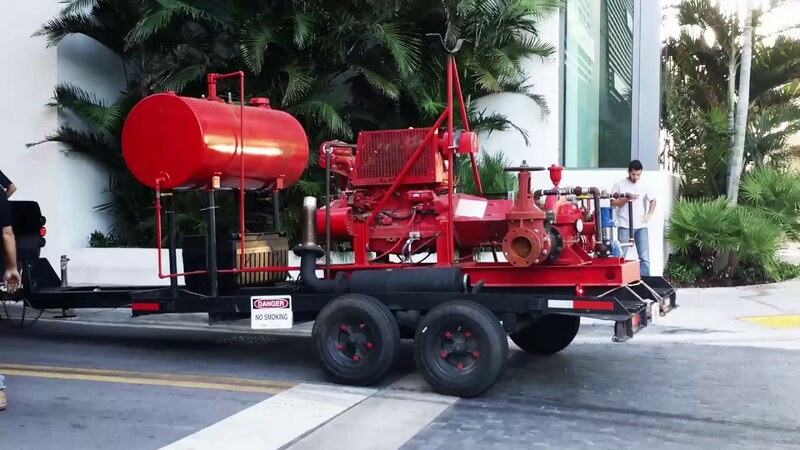 Sprinklermatic has an emergency diesel fire pump trailer available for immediate assistance when your fire pump is down and you can’t afford to be without fire protection services. This portable fire pump system will get your facility back in service and avoid costly Fire Department Fire Watch. 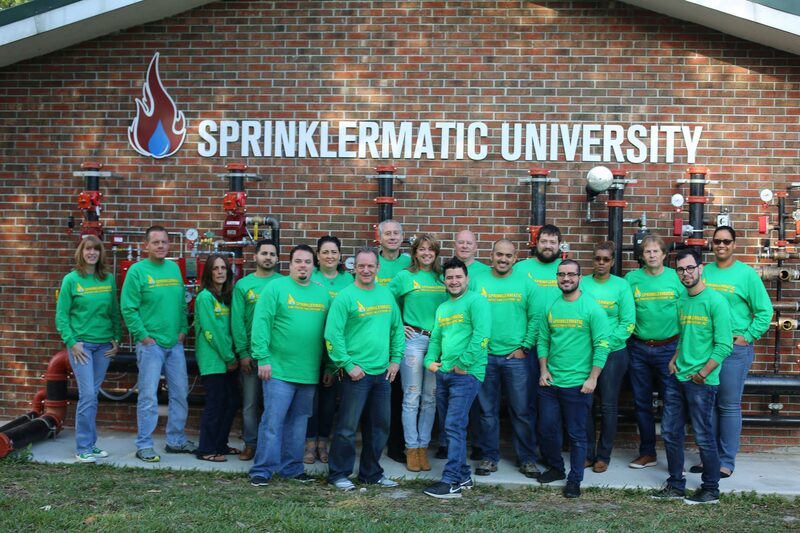 Sprinklermatic University is your one-stop shop for fire protection continuing education. With a diverse portfolio of courses and classes available, you can depend on Sprinklermatic University to get the annual credits you need for your continuing education. Sprinklermatic's Emergency Service Department is on call 24/7 with no exceptions for weekends or holidays. Fully stocked service trucks are ready at all times. Both Robin Collier and Tim O'Brien have been very beneficial to our companies in not only their professional expertise but in their ability to provide correct and timely information for our decision-making process. They “Go the Extra Mile”. I would highly recommend them to anyone considering a professional fire sprinkler/fire alarm subcontractor who will complete your project at a competitive price. Necessary to get the project completed accurately and on time. I would highly recommend Sprinklermatic to anyone who is looking for a subcontractor that provides quality work. Plaza looks forward to working with them on future jobs. In a business that is increasingly challenging it is a pleasure to have a true Partner in Sprinklermatic. I know on any job we work on together there is one trade I don’t have to worry about: fire protection. I thank you for that. I found the Sprinklermatic team to be consistently helpful, providing a wealth of experience, and knowledge to the project. More importantly, they showed initiative, drive and flexibility to complete their job with minimal impact to the project thus satisfying its competing demands. The Sprinklermatic team, including all field personnel, provided excellent services of the highest quality while providing Value Engineering recommendations leading to a successful project, delivered on time and within budget. I have been engaged with Sprinklermatic Fire Sprinkler, Inc for several years and I have found that their technical expertise, execution quality and management commitment have positively contribute to the success of our projects. Sprinklermatic manages their scope of work with integrity and professionalism in every aspect of the project. They consistently create a win-win- relationship, are on-time and maintain the budget. They take pride in their workmanship and product a quality product. They perform detailed coordination with other trades and communicate well with our staff. 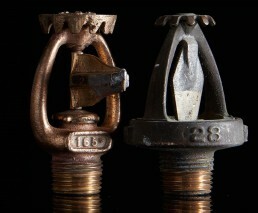 Sprinklermatic has always performed exceedingly well on our projects. They finish work in a timely manner while meeting or surpassing regulations or our expectations. Sprinklermatic personnel are resourceful, creative and solution-oriented people who have frequently been able to come up with innovative approaches to help solve potential problems on my projects. Sprinklermatic is a privately owned, non-union, state licensed, bonded and insured Fire Sprinkler and Fire Alarm contractor. Celebrating 30 years in business our team brings 200 plus years of combined executive, estimating, design and installation experience, making us uniquely qualified to tackle the largest and most complex projects. Honoring our humble roots there is really no project too small or too large for our amazing team! 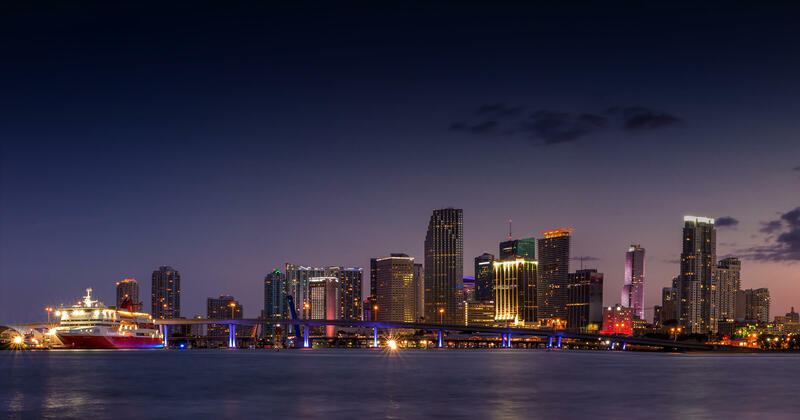 Since 1987, we have been designing, fabricating, installing, and servicing fire protection systems in commercial and residential buildings of all sizes. 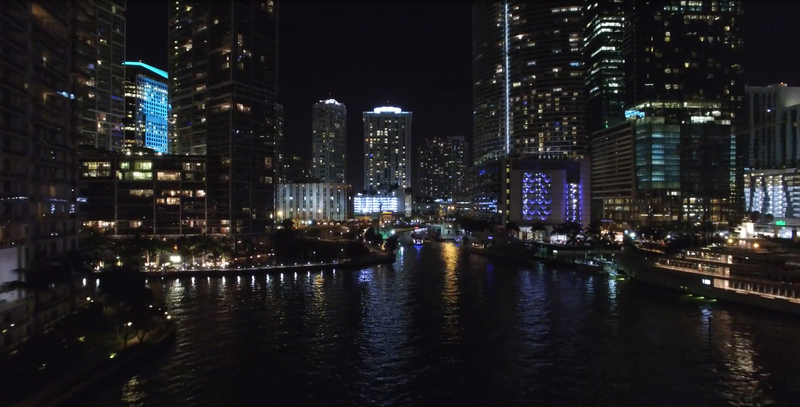 From condos to schools, hospitals, hotels, universities, airplane hangars and warehouses. If your needs are annual, semi-annual, quarterly, or monthly testing, we provide inspections and testing of your existing fire sprinkler and fire alarm systems to ensure you’re in compliance with NFPA-10, NFPA-25 and NFPA-72 as well as NFPA-101.